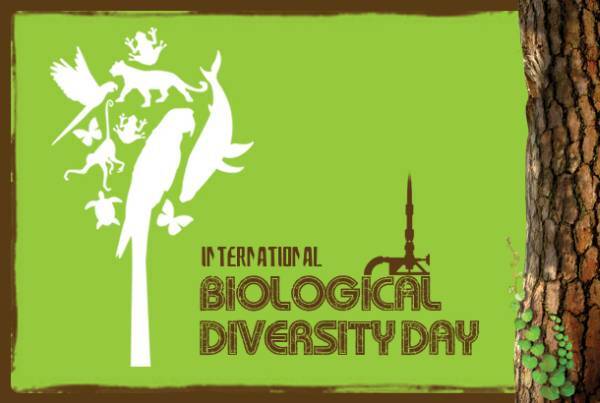 The International Day for Biological Diversity (or World Biodiversity Day) is a United Nations sanctioned international day for the promotion of biodiversity issues. It is currently held on May 22. From its creation by the Second Committee of the UN General Assembly in 1993 until 2000, it was held on December 29 to celebrate the day when the Convention on Biological Diversity came into effect. On December 20, 2000, the date was shifted to commemorate the adoption of the Convention on May 22, 1992 at the Rio Earth Summit, and partly to avoid the many other holidays that occur in late December. A wide range of events are organized globally to increase the understanding of the important role of biodiversity in our future. Celebrations are organized by: the Secretariat of the Convention on Biological Diversity, which forms part of the United Nations Environmental Programme; many national governments; and a range of non-governmental organizations. Activities include: distributing information on biodiversity via schools, colleges, universities, newspapers, radio and television; exhibitions and seminars for students, professionals and the general public; showings of movies on environmental issues; presentations of programs to preserve endangered species or habitats; planting trees and other plants that help prevent erosion. Period from 2011 to 2020 was announced as the UN Decade on Biodiversity. The main goal is to support realization of Strategic Plan for Biodiversity and Aichi Biodiversity Targets.